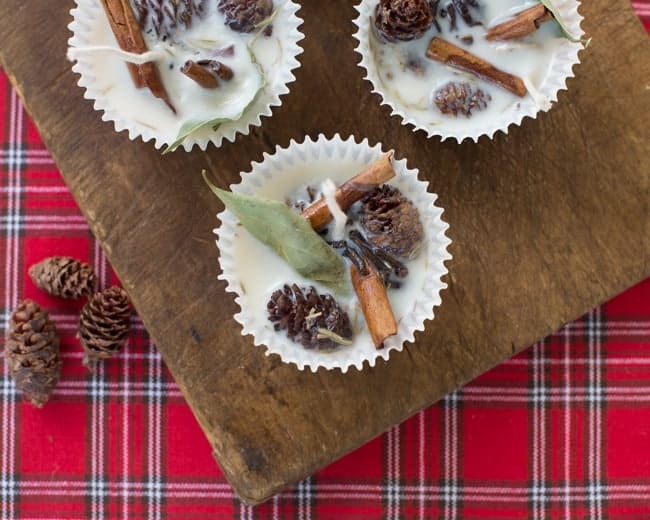 Make your Home smell like Christmas by giving it an instant festive infusion with these 10 Easy to create DIY Christmas Scents. So Christmas is coming. My kids have already bought the Christmas tree into the home. It’s still in it’s box, but they are circling it like hawks. My number 3 has informed me that she’s “just going to clean the decorations” over the weekend. I’ve a feeling that our tree will be fully dressed, standing in the middle of the lounge by lunch time. I’m not trying to put the Christmas squeeze on you. You still have plenty of time to get organised for the festive season. If you need a little help, get my free Christmas Planner here. It’s an all in one Holiday planner to help you prep meals, recipes and gifts for the holidays, stay on budget and ease the stress of the Season. Did I mention it’s free? Well. It is. Get it here. Not everything needs to be complicated. Making your home smell like Christmas is a little Martha Stewart-esque Home Hack that goes a long way to making your home feel warm, cozy and festive. I like to go with the obvious scented candle thing (I’ve ordered the candy cane variety this year), but we are also adding a few scented pine cones to our tree so I’m eagerly waiting for my Pine Tree Scented Essential Oil to arrive from Amazon. I’m now a little addicted. So here are my favourite DIY Christmas Scents. Don’t know if I can have all of them going at the same time. Bit much? Nah. It’s Christmas. 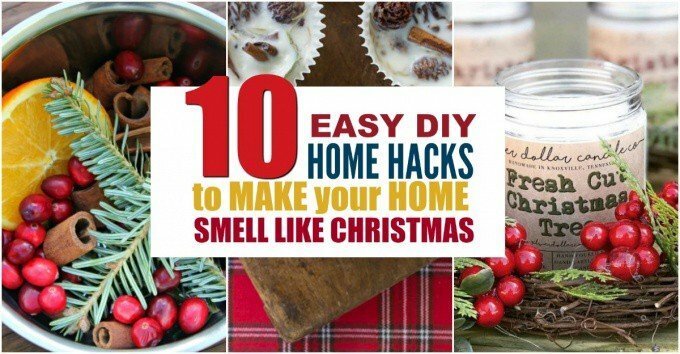 This must be the easiest way to get your home smelling like the holidays. Light a candle with a Christmas inspired scent. There are a ton of festive inspired scents to enjoy. Either stick to the classic smells like Cinnamon, Pine or Myrrh or try something a little different like Ginger Bread, Candy Cane or Fresh Cut Christmas Tree (Get it here on Amazon). 2. Switch out your hand soap. Refill your soap pump with a liquid soap infused with your favorite holiday scent. Either add a couple drops of your favorite festive essential oil or swap it out with organic peppermint Dr. Bronner’s liquid soap. For a quick and effective Holiday Smell in your home, pop a pot of boiling water on the stove and gather some supplies from the garden or pantry. 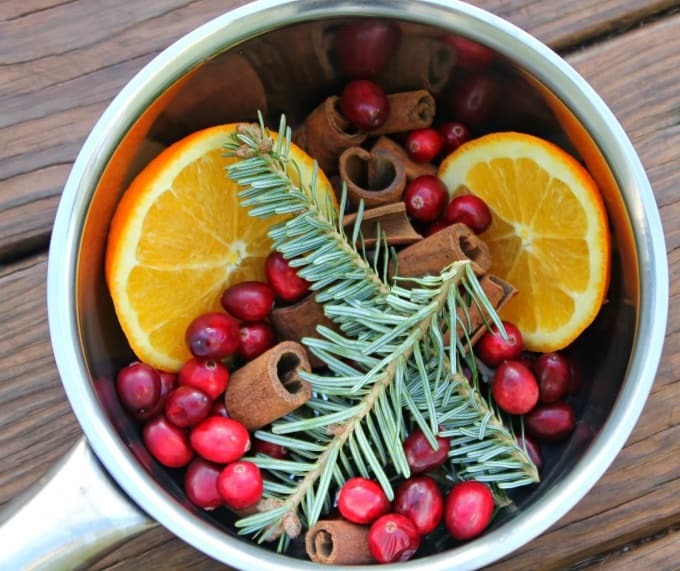 Add oranges, cloves, nutmeg, pine needles and cinnamon and simmer it all together on low to get that festive scent floating through your home. Your Christmas tree isn’t the only thing that can emit that classic evergreen scent. Hang a pine needle wreath or bouquet in all the bedrooms room indoors to fill the room with that woody aroma. To make that scent last a little longer, add a few drops of pine needle essential oil. Yup, coz that’s a thing. 5. Use Christmas Essential oils. Is there anything better than the smell of ginger, vanilla and cinnamon wafting through your home? Oh I believe there is not. You could use a scent diffuser to get that same smell happening around the place,, but then you wouldn’t get to enjoy the benefit of some delicious homemade Christmas cookies. 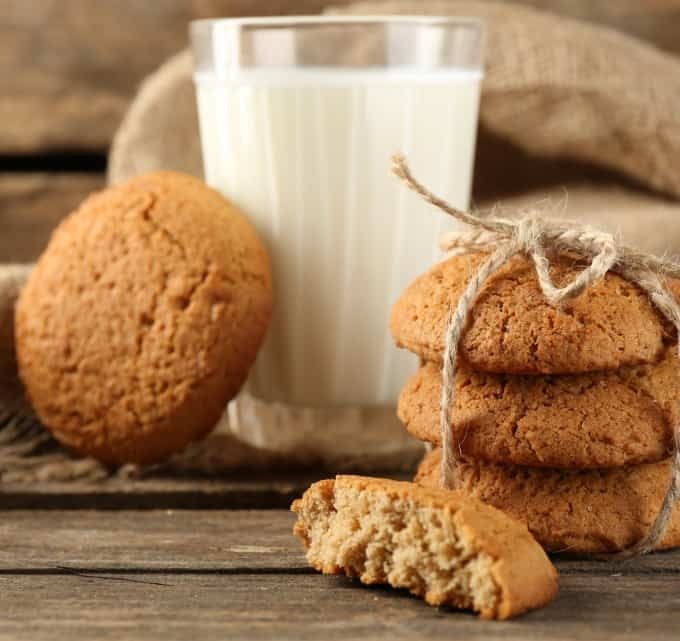 Try these Clean Eating Ginger Ninja Biscuits. They are sweetened with date puree and taste amazing!! 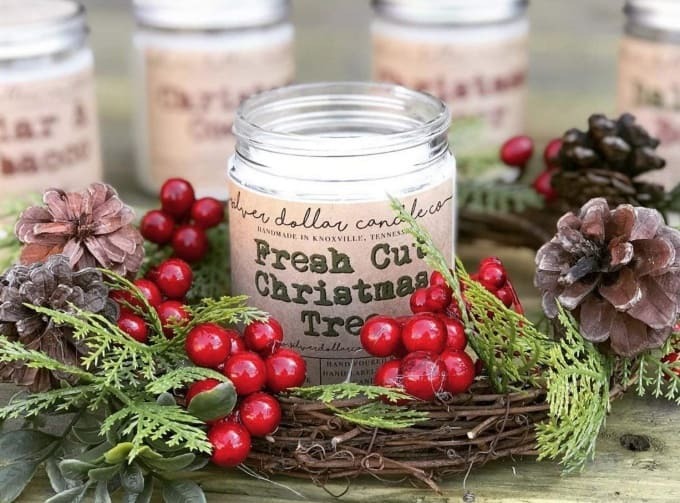 These wax fire starters from Helloglow are very similar to a candle, but have combustible items such as dried leaves and pine cones to help get the fire going. The aromatic whole spices and herbs will fill the house with a lovely smell as the fire burns. If you’re going to boil a pot on the stove, you might as well make mulled wine. 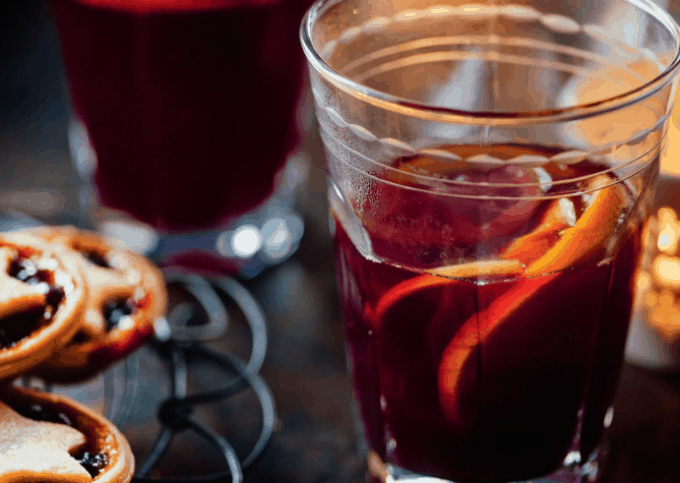 During the festive Season evenings, there’s nothing better than a spiced, warming glass of this mulled wine by the Christmas tree. Try this easy Mulled Wine Recipe from Mary Berry. 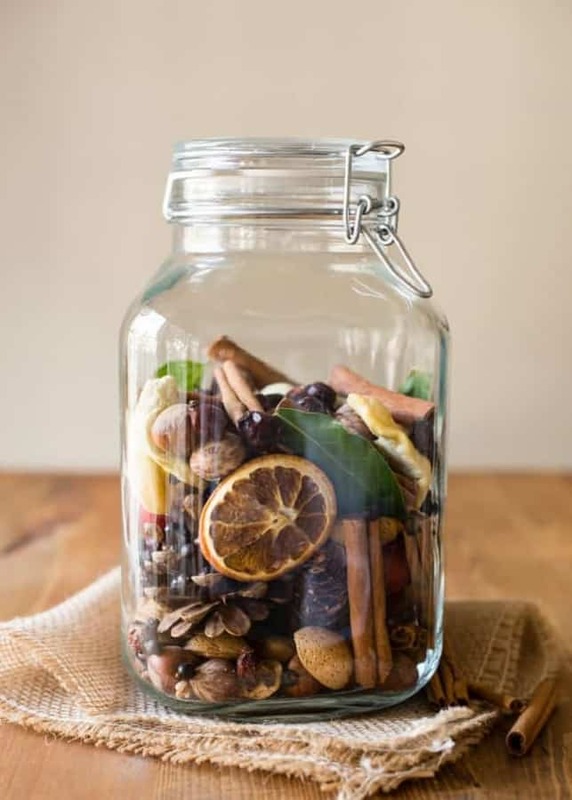 Making your own Christmas scented potpourri is fun because you can really customize it using natural elements from your home or garden. Died fruit, leaves, herbs and nuts creates a pleasant scent and a stunning display of colors and textures that makes a perfect gift too. Hang a small bundle of dried herbs above the shower head to turn your morning ritual into a mini holiday event. The steam is infused with the scent. Think of it a little like a personal Christmas steam room. 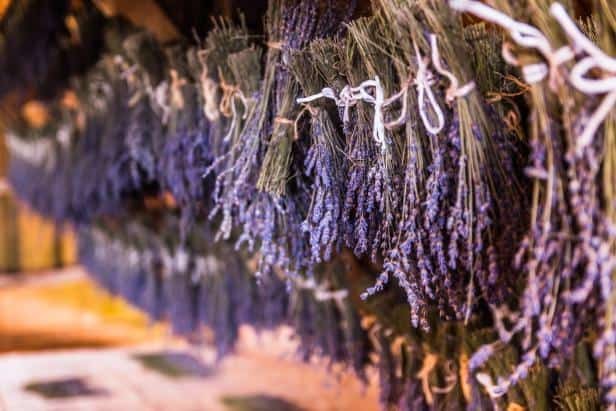 Rosemary and Lavender make a beautiful blend. Both of these herbs are associated with Christmas. Rosemary was used during the Middle Ages by housewives to spread on the floor at Christmas. When walked on it, the aroma filled the room.